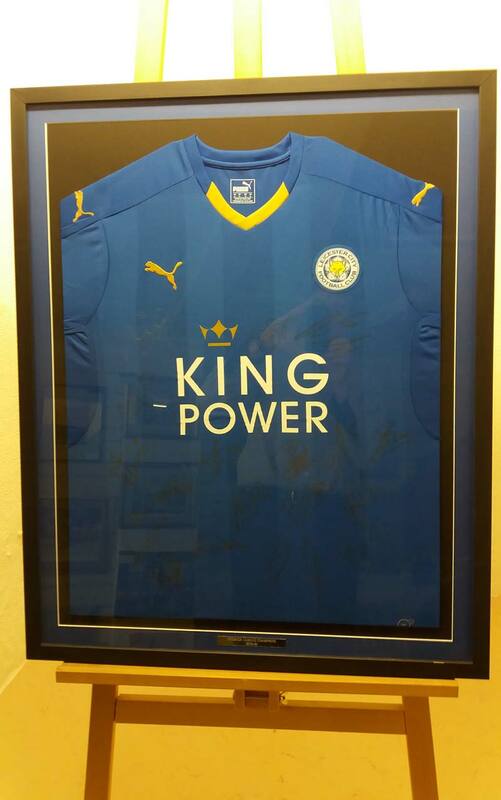 When Leicester City Football Club won the Premier Division title in 2015/16 a few lucky fans were to get their hands on a signed shirt from the season. A few other lucky fans got their hands on more than one – but not to keep. 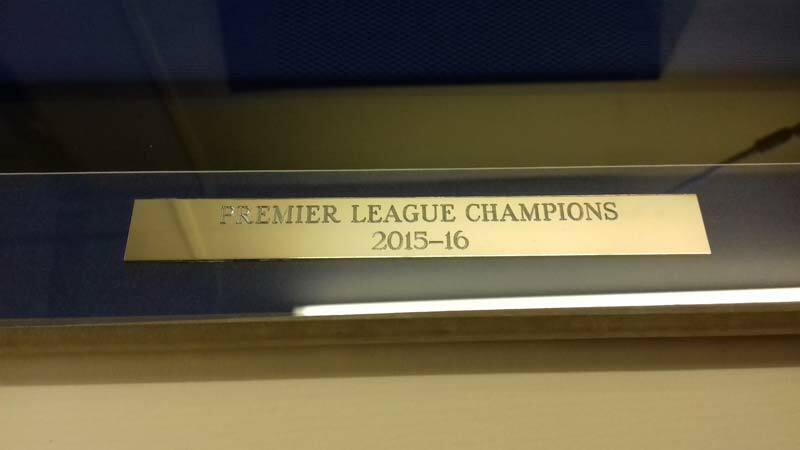 The framers at Gadsby’s have had the pleasure of framing more than one Champion’s shirt and this one we took a few pictures during the process – which was slightly different with a silver plaque at the bottom with information about the history of the shirt.